See video link for geography of site. The location was a hiding place for ancient Christians. Archeologists think the site may have been an ancient church. The “hidden church” is believed to be from the 3rd or 4th century. The site is located 18 miles west of the Euphrates River. Christian symbols and writings were cut into the stone. Tunnels, places of worship, and escape routes were contained. Inscriptions were written in Greek. “Greek was the common language of the Eastern Roman Empire, which explains why the New Testament is written in Greek during the Roman period,” John Wineland, Professor of History and Archaeology at Southeastern University. A complete and thorough dig and study is not expected until later due to mines placed from the civil war in Syria. A possible second location may have been found as well. These verses above hold much controversy. Ignore the divisiveness these arguments have brought. Read the text for yourself and understand. Jesus is talking to Peter. And He clarifies that He is talking to Peter. Jesus makes the point to use two different words. Look at the two key nouns: Peter and rock. These are two distinctive terms in the Greek. They are not the same terms. They are distinctive in gender and definition. Peter: Πέτρος/Petros, masculine in gender. It means: a detached stone or boulder; properly, a stone (pebble), such as a small rock found along a pathway. Peter, a Greek name meaning rock. Petros is small in stature. Rock: πέτρα/petra, feminine in gender. It means: a mass of connected rock; solid or native rock, rising up through the earth; a huge mass of rock (a boulder), such as a projecting cliff. Petra is large in stature. Definitions provided by Strong’s Concordance and HELPS Word Studies. The “rock” is connected together as the church is the body of Christ. 1 Corinthians 12:26-27 If one member suffers, all suffer together; if one member is honored, all rejoice together. Now you are the body of Christ and individually members of it. “Petros” is isolated and individual. Peter is not a big deal in comparison to the corner stone of the church. “Petros” pales in size relative to the “rock” of the church. Jesus predicted and promised His body and bride, the “church”. This is the Greek word used for “church” in the New Testament writings. ἐκκλησία/ekklésia means: an assembly, congregation, church; the Church, the whole body of Christian believers. Jesus says it Himself. “…I will build my church…” Jesus is the architect and builder of the church. Jesus takes possession. He declares the church belongs to Him, hence the possessive pronoun “my”. Grace is the operating principle of how God interacts with believers in and through His Son. For those who have not accepted the gracious gift of Jesus Christ, they are still under God’s Law regardless of what they believe. Prior to the death, burial, and resurrection of Jesus Christ, humanity was under the Mosaic Law. We are not saved under the Law. The Law points out the fact we are flawed sinners. The standard of the Law defines the fact we are in sin. With the cross work of Jesus Christ, things changed. He paid the price for sin. With the cross, there was a new program. And that program is grace. The undeserved gift is eternal life. We don’t deserve it. We cannot earn it. The grace of Jesus Christ is a free offering to anyone who will take it. The free gift is grace. Grace and free gift are synonymous. Romans 5:21 so that, as sin reigned in death, grace also might reign through righteousness leading to eternal life through Jesus Christ our Lord. In 1 Timothy 1, grace is described as overflowing or ὑπερπλεονάζω/huperpleonazó. The prefix “hyper” is used to describe the amount of the number of grace. One cannot measure grace. It is so plentiful, grace cannot be counted. Grace is super, exceedingly abundant. Grace is hyper “cannot be counted”. Definition provided by Strong’s Concordance. Grace is the difference maker, not the individual. We are granted grace by God. It is not about us. Don’t get cocky. Don’t forget, grace is a gift. There is no amount of good deeds or work anyone can do to earn grace. One can not work for an eternity to earn grace. God is not impressed with your effort. Humble yourself. Get over it because you are not that good. And you are not going to be good enough not matter what you do. Spare God your pride and arrogance. 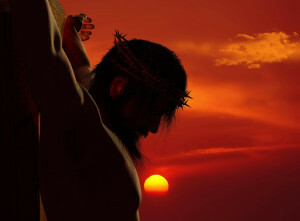 You did not die on a cross to pay for all the sins and transgressions (past, present, and future) of all humanity.